Date of Birth: 23rd August 1959. Educational Qualifications: 1983: MBBS (Bombay University). 1977: 12th Standard - Dhempe College of Arts & Science (Distinction). 1975: SSC – Pragati High School (Poona Board) – 7th Rank in Goa. Dr. Subodh Kerkar gave up his medical profession 27 years ago to pursue his passion, visual arts. He has carved a niche for himself, especially in the field of conceptual art and land art. He is the Founding Director of Museum of Goa (MOG), which is one of the largest private art spaces in the country. Subodh’s works have been exhibited widely in India and other parts of the world in galleries and museums. • Royal Academy Summer Exhibition, London. • India Art Fair, New Delhi. • ‘Reimagining Gandhi: An Artist's Vision’, works for Serendipity Arts Festival 2017, Goa. • ‘Moses and the Plastic Ocean’ (Invited Artist at Sea Art Festival, Busan Biennale). • ‘Carpet of Joy’ – An installation which aimed at spreading awareness against littering, Saligao, Goa. (The installation was created using One Lakh Fifty Thousand discarded plastic bottles and was visited by over Two Lakhs people over a period of Two months). • Installations for BRICS 2016, Goa. • Sculpture by the Sea, Aarhus, 2015, Denmark. • ‘Janela - Migrating Forms & Migrating Gods’ A Collateral Event presented by MOG at Kochi Muziris Biennale 2014 at Kochi, Kerala. • Label 201 Gallery, Rome. • Sculpture by the Sea, Cottesloe, Australia. • ‘Water Bodies’, exhibition organized by INKO Centre and Arts Council (Korea) in Chennai. • Strarta Art Fair at Saatchi Gallery, London. • Sculpture by the Sea, Bondi, Australia. • ‘The Pepper Cross’ exhibition at Canvas International, Art, Amsterdam. • United Art Fair, New Delhi. • ‘Unsung in Life; Unclaimed in Death’ project for Raqs Media Collective, organized at Devi Art Foundation, New Delhi. • ‘The Pepper Cross’ exhibition at Zitadelle Spandau, Berlin, Germany. • Invited to create an installation at Marina beach, Chennai for Chennai Art Fair 2012. • ‘Unfolding of a Dream’, an installation in support of the Tibetan cause, created with the blessing of HH, the Dalai Lama at Vagator beach, Goa. • ‘The Earth Bowl’ (Prithvi Kund), installation at Ozran, Small Vagator beach, Anjuna, Goa. • Ruhr Biennale, Duisburg, Germany. • The presence of the absence’, installation for Indian Institute of Advanced Studies, Shimla. • Exhibition titled ‘The Art of India - 20 years of Contemporary Art’ in Gallery Neumeister, Munich, organised by The Indian Institute, Munich on its 80th Anniversary. • Jam Jar Gallery, Dubai. • ‘The Sea Remembers’, Canvas International Art, Amsterdam. • Gulf Art Fair, Dubai. • Award winning installation for Busan Biennale Sea Art Festival, South Korea. • 20 installations for Mumbai Festival. • Half a kilometer of installations for the International Film Festival of India, Goa. • ‘Art in Landscape: Subodh Kerkar's Land Art’, Conversation with Tehzeeb Katari at The Hindu Lit for Life festival, 2018 in Chennai. • ‘Social and creative entrepreneurship’, at the International Seminar on Entrepreneurship as a social Movement, organized by banglanatak.com, Kolkata. • Edu Vision India – 2022, National Educational Conference 2017, Goa. 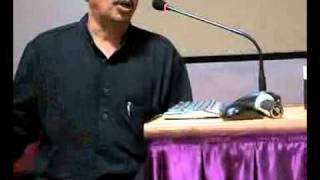 • ‘Gandhi and Science’, lecture at the Indian Institute of Science Education and Research (IISER) Pune. • ‘Reclaiming Gandhi through arts’, lecture at The University College London (UCL), for the conference ‘Mahatma Gandhi in the 21st Century: Gandhian Themes and values. • ‘Land art’, presentation at Sea Art Festival, Busan Biennale 2017. 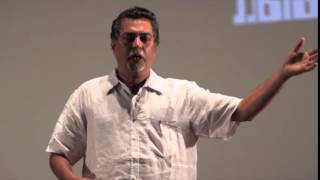 • ‘The social and the political in my artistic practice’, TEDx talks, Goa College of Engineering. • ‘Reclaiming Gandhi’, presentation for ‘The Wire’. • ‘History of medicine in Goa’, talk for Difficult Dialogues, Goa. • ‘Installation art’, a workshop and lecture for the students of Indian Institute of Management (IIMA), Ahmedabad. • ‘Food against fanaticism’ lecture at INK Conference, Goa. • ‘Regional responses through art’, talk at Serendipity Arts Festival, 2016, Goa. • ‘Museum of Goa’ Goa Arts and Literature Festival (GALF) 2015, International Centre, Goa. • ‘The Ocean and Art’, lecture at the Van Gogh Museum, Amsterdam, Netherlands. • Installation workshop for the students of college of Arts & Crafts, University of Lucknow. • ‘Exploring history through Art’, TEDx talks, BITS Pilani, Goa. • My experiments with installations’, presentation, Camel Art Foundation, Art Lecture Festival, Goa. • ‘My experiments with art’, presentation, Jaipur Art Summit. • ‘My experiments with installations’, presentation, Thinkfest 2013, Goa. • ‘Artists in Conversation’ David Handley (Founding Director, Sculpture by Sea) and Dr. Subodh Kerkar, Lalit Kala Akademi, National Academy of Art, New Delhi. • ‘My experiments with art’, presentation at Chandigarh Lalit Kala Akademi. • ‘My art journey’, presentation for Mohor, Pune Biennale 2013. • Art Direction for the Award-winning film, ‘Baga Beach’. ‘The Sea Remembers’ and ‘The pepper cross’ – Canvas International Art, Amsterdam. ‘Janela’ – Museum of Goa. ‘Balcao’ – Dhoomimal Gallery, New Delhi. ‘Gopakapattanam’ - Museum of Goa. ‘Morphology of Archive’ - Museum of Goa. Dr. Subodh has published 4 collections of his social and political cartoons during his student days, when he was a regular cartoonist for the Navhind Times and the Illustrated Weekly of India. • Subodh regularly presented a show ‘Kalakirtan’ for Prudent Media in Konkani with the objective of taking contemporary art to the masses. He has been an anchor for a number of television interviews of individuals from different walks of life for different television channels in Goa. • INTERVIEW ON GOA’S HISTORIES ON TLC. • Celebrated film director, Bharat Bala just completed shooting a 12 minutes film on one of Subodh Kerkar’s work titled ‘The fishermen and the sea’, created with a hundred fishermen on Morjim beach. • ‘The moon and the tides’, sculpture in bronze for King Abdullah University of Science and Technology (KAUST), commissioned by Urban Arts Project (UAP), Australia. • Sculptures for Lavasa Special Planning Authority (LSPA). • Sculptures at Valpoi for Mineral Foundation of Goa. • Art works for Goa Niwas, New Delhi. • Sculptures for Garden of Five Senses, New Delhi. • Sculptures for Noida Toll Bridge Company. HUNDREDS OF WORKS IN PRIVATE COLLECTIONS ALL OVER THE WORLD. A disc created using pinecones on one side and coconut husks on the other. The idea is using materials from the east and the west, which makes the disc a symbol of a global dialogue. The word pinecone has an interesting etymology. Before ‘Ananas’ arrived from South America on European shores, pinecones were called ‘Pineapples’. ‘Ananas’ took over the name Pineapple and new term pinecone was coined.